Every Wednesday at 9:13 am, one of Pittsburgh’s finest music writers joins me (Cindy Howes) on the Morning Mix to play a couple favorite new songs and share some insight. Today we welcome Scott Tady! 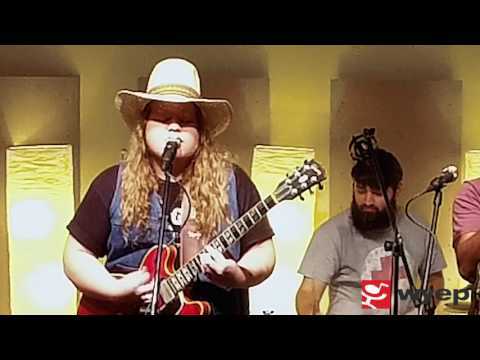 In case you missed it here’s what he played with commentary by Scott: Andrew Leahey & The Homestead, "Little in Love" - "Let's stay up 'til the church bells ring," sings Leahey on this easy-going single from a May 27 album produced by Uncle Tupelo/Wilco drummer Ken Coomer. "I wrote that song in my friend's van on the way back home from South By Southwest," the Nashville-based Leahey says via email. "It was a perfect afternoon -- open windows, lazy sun, road markers, stretched sky -- and I tried to funnel that feeling into the music." Citing Tom Petty as an influence (I hear a little Dawes), Leahey's entire album brims with hooky, straight-forward rock songs that celebrate life's simple joys. He wrote the album while recovering from emergency surgery to remove a brain tumor, which spurred the album's joie de vivre. Leahey will entertain March 19 at a cool local music club, Wooley Bully's, in New Brighton, where there's never a cover charge. Laura Gibson, "Empire Builder" - A different kind of road-trip tune; pretty and poetic with images of lumber yards, coal mines, dried up oil fields and "1,000 lonely pines bending their backs to the sky" whisking by as the folk-rock singer takes a train trip, leaving behind the man she loves for a journey of self-discovery. Gibson recounted that trip in an NPR interview, saying, "The whole time on the train I was checking my phone for some sort of text, an affirmation from him that this choice I was making was OK. He was conflicted too, and much of the first half of the route is beyond the reach of cell phone towers. I'd stare out into the dark, and every so often capture more footage. I found myself writing the same two sentences over and over again: 'Hurry up and lose me. Hurry up and find me again.' This song captured a moment of utter unknowing, of self-doubt and confliction." Do yourself a favor, and check our Gibson's lyric video to this, title track for her album coming out April 1. Better yet, check her out live tonight (March 16) at Club Cafe, opening for Shearwater.